Every year about this time the Jalapeno family serve up a delicious meal, nope it's not Christmas dinner, its their annual label comp. 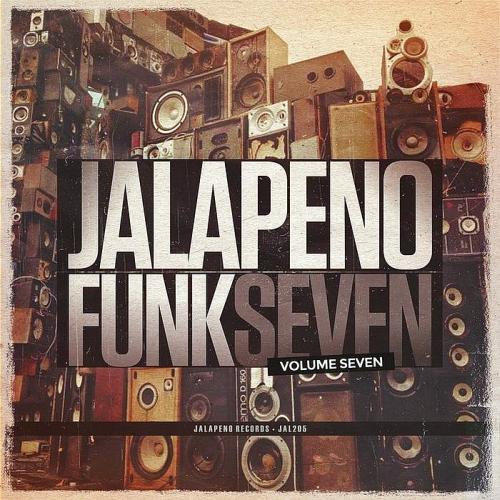 This years edition, Jalapeno Funk Vol 7, features a whopping 20 tracks, all guaranteed to get the festive season swinging along nicely. Highlights include The Ephemerals raucous soul-rock anthem Keep On, Skeewiffs burning shuffle-funk jam Giggity Allright and the percussive clavinet workout Give The People A Break by Flash Callahan. Basement Freaks has toured extensively throughout Europe dropping funk at the renowned Glastonbury Festival,the Fabric & Cable Nightclubs in London and the Exit & Reworks Festivals. In the summer, Basement Freaks headlined the worlds largest and best breakbeat festival Shambhala.